Our Job Developer, Arlene Flores, helps HBAS students prepare for success in their new careers by keeping regular office hours, assisting with resume review, job search strategies, and working with CTE Program students to help prepare for employment upon completion of their programs. 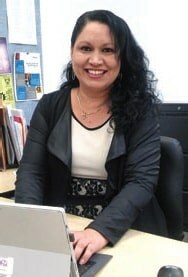 Arlene has built strong relationships with hiring managers, and can assist with preparing for job interviews; She has over 20 years of experience in the Healthcare field, worked as a Director of Career Services overseeing Placement and Externship, and brings a strong background in Sales and Marketing. (Ways to Schedule an appointment with the Job Developer - Email, Walk In, and/or Call - ). Please note, Services are provided for enrolled HBAS students and there is no guarantee of employment. to help fill your open positions - Let me be your NO cost staffing solution. CTE Completers receive one on one job placement assistance upon completion of their program - Work together as a "team"